Paul Rudolph, a master of geometric form whose sectional drawings are engaging as the buildings they documented, had a particular advantage when designing the Yale Art and Architecture Building. 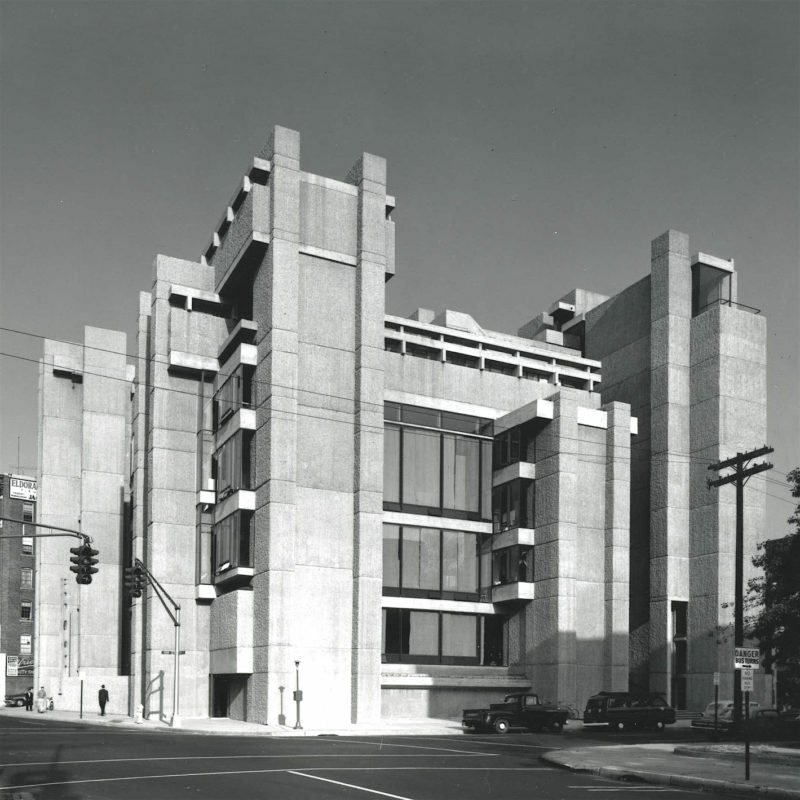 Heading Yale’s Architecture department at the time, Rudolph’s commission positioned him as both the client and architect, allowing for heightened experimentation and ultimately translating to one of the earliest North American Brutalist works. As with many of his works, Rudolph’s Architecture Buidling consisted primarily of intersecting, interlocking volumes of textured concrete that wrapped glazed sections and rose above the roof line to form a series of turrets. Appearing almost as a heavily reduced piece of Gothic architecture, Rudolph managed to traverse styles and present a structure that was simultaneously monumental and sensitive to the urban condition, offering acute difference to Louis Kahn’s functionalist Yale University Art Gallery across the road.